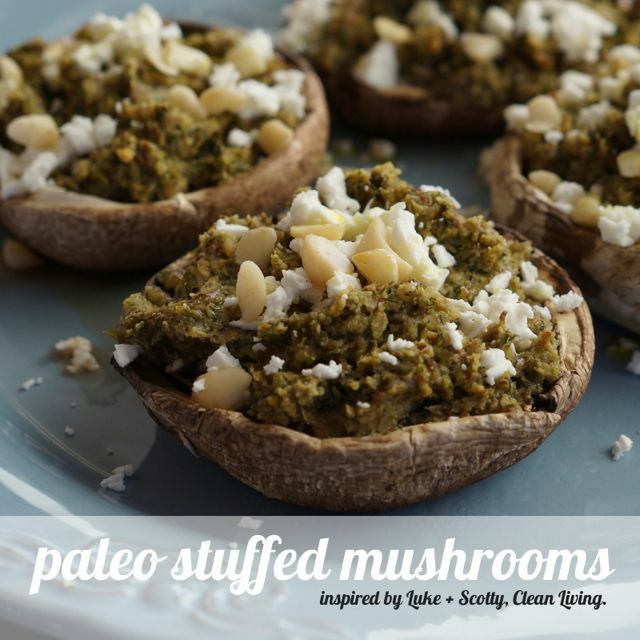 These paleo stuffed mushrooms look super duper fancy but trust us when we say this is one of the easiest recipes ever (we say that a lot right?!). Even we were a little shocked at how easy they were and had to keep going back to check the recipe in case we had missed a step! The recipe was inspired from Luke and Scott’s new Clean Living Cookbook, which you can read more about here (we reviewed it and loved it!) but of course made some merrymaker tweaks. 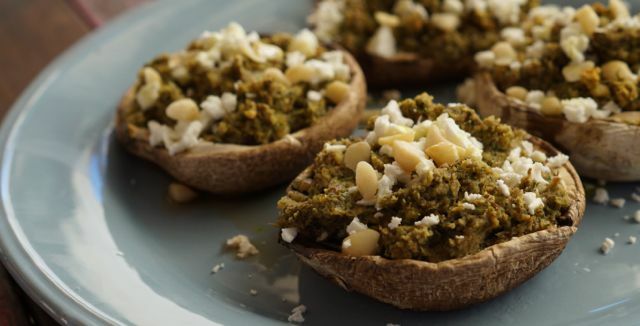 Enough of that though, get in to these mushrooms and impress your taste buds! We had them for dinner but they are traditionally enjoyed for breakfast! Either/either we say! In fact you could have them any time of the day! p.s how pretty is our new table! We had it hand made from recycled wood. We’re so in love. We met Adam on Facebook, you can check out his designs here! 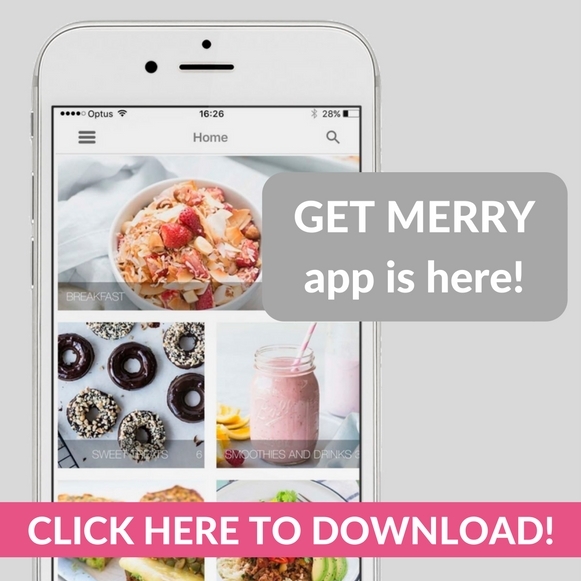 pp.s we want to see ALL your merrymaker foodie creations! Use the hashtag #themerrymakersisters on social media. Preheat oven to 200 degrees celsius and line a baking tray with baking paper. Remove the stalks from the mushrooms and lie the mushrooms on the baking tray. In a food processor (we use our Vitamix) whiz the mushroom stalks, herbs and walnuts until fine. Add the almond meal, lemon juice and 1 tbs. of avocado oil and mix well. Spoon the mixture into the mushroom caps and drizzle with a little more oil. Bake for 10-15 minutes or until the mushrooms are cooked through and the stuffing is getting nice and crispy. Top with crumbled feta and macadamia nuts! Absolutely delish! For more recipes just like this one, check out Luke and Scott’s, Clean Living Cookbook!